Graduating from high school is a major accomplishment. With everything that goes on in high school, for some students, it may not seem like it will ever happen. So when it finally does, the goal for some high school graduates is to just take a break from it all. While this might sound like a good idea, that can be a slippery-slope decision because a month’s break can turn into two, then 3, next 6, and before you know it, an entire year has gone by! While there’s nothing wrong with taking a year off to collect your thoughts and figure out what you want to do with your life, it’s worth exploring other ways you could spend that time. For instance, you could get a job or enroll in school. You might even consider doing both depending on your personal circumstances. 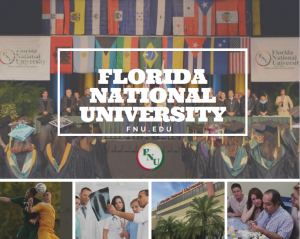 Florida National University (FNU), a regionally accredited university located in the South Florida area, encourages high school graduates to strongly consider enrolling in college after graduation. Having just graduated from high school, you’re already used to a study routine, so there shouldn’t be too much of an adjustment when it comes to focusing on academic studies. 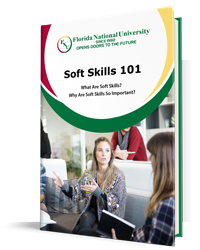 On the other hand, the longer you wait to enroll in college, the more difficult the adjustment period might be, and you may have to take some prerequisite courses to refresh your aptitude before taking a credited course. So in other words, the longer you wait to enroll in college, the more money you might have to pay for non-credited courses. The next reason is simple: The earlier in life that you start college, the earlier you’ll get your degree and can start the career of your dreams! This may all sound simple enough, but we also understand that not everyone has the luxury of going to college and dedicating 100% of their time toward academic studies. Some people have responsibilities that only a paying job can help them with. So then the other option of just getting a job right out of college comes into play. Some high school graduates might get lucky and find an entry-level job that they can work their way up into and increase their salary that way. Others may discover that they’re not happy with their job after putting in a considerable amount of time, sometime even years. So it’s oftentimes only later in life that people may decide to pursue a college education. By then, they might have financial and personal responsibilities that they may not have had as a new high school graduate. Work or College. Which One is Most Important to You? So the dilemma of needing to work and wanting to go to college seems to be the colliding options of which one takes top priority. The academic faculty and administrators at FNU have arranged our curriculum to make it possible for working individuals to pursue their college degree. We also understand that living in a big city like Miami provides a lot of opportunities, and we want our university to be the one for you. This is why we’ve dedicated one of our campuses to be an Online Learning Center. All students at FNU have the option of completing their college degree 100% online on their own schedule. With online studies, students will still have a deadline to complete their coursework, but they’ll gain the flexibility to do it. They won’t have to worry about attending a traditional classroom. Students will be able to manage their academic responsibilities around their own work schedule instead of scrambling to manage their studies around classroom time. With FNU’s online degrees, you’ll be able to successfully manage life as a college student while meeting the responsibilities of your job. In addition to our flexible online degree programs, the FNU administrators and faculty provides strategic academic guidance so that you can complete your degree as quickly as possible. Our university blogs offers great advice about how to manage college life too! All of these articles can be found on the FNU’s university blog and can help you get through your college years a little better and with less stress. FNU even has a program that allows high school students to take college courses before graduating. By enrolling in FNU’s Dual Enrollment program, students won’t have to worry too much about how they can manage a job and go to school at the same time, because it’s all about time management. The Dual Enrollment program prepares high school students for this. So if you’re already in high school and want to enroll in FNU’s Dual Enrollment program, you’ll be better prepared for what kind of commitment will be required of you in regards to time, dedication, and most importantly management. So, whether you choose to work right out of high school, take a break, or immediately enroll in a college or university, FNU will be here waiting to assist you with our admissions process! Just take a look at all of the online degree programs we have to offer here. Then contact one of our advisors to discuss which degree program you want to enroll in today!